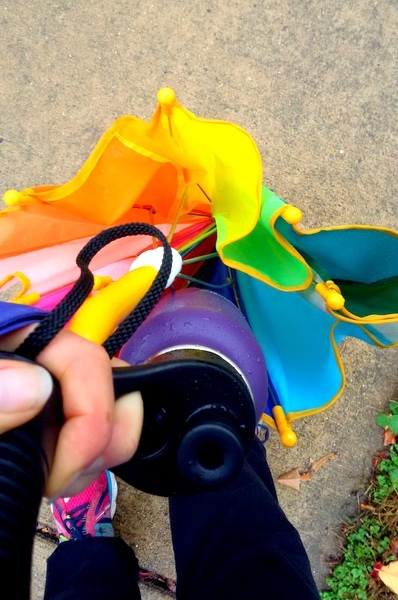 At the last second, I changed my mind against picking my kids up from the bus in the car and instead grabbed the umbrellas and a jacket. It was warm. I figured they had probably not had recess, what with all the rain. The afternoon included a longer-than-normal piano lesson for my son during which I needed to cook so I could go to a meeting. This was going to be the one time during the day when they’d be moving their bodies outside. Plus, I remembered they had both opted to put on rain boots in the morning. It was not an earth-shattering decision, but I’m glad I made it. Partway up the hill, my daughter complained about her boots feeling funny. She almost stopped walking right in the middle of the street. I came close to losing it as she came close to tears. Then suddenly she said she didn’t need her umbrella anymore. I took it and asked her a distracting question and continued walking, hoping to establish some momentum. Her brother noticed a huge leaf, and she enthusiastically told us about an even huger one she saw the previous day. By the time we got to the top of the hill, we were just walking home. Big brother started wading in the water, and the last 1/4 of the trip took twice as long as the rest. That was a good thing. 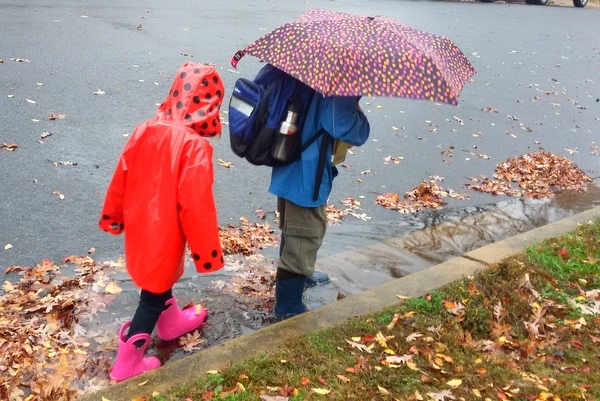 When was the last time the my kids played in the rain or splashed in puddles? When was the last time I did? It’s impossible to play in the puddles if it hasn’t rained. It’s hard to appreciate empty space until it’s filled. Sometimes you need a grey day to appreciate color. Sometimes little things get lost when everything else is too bright. It’s easier to enjoy something when you almost didn’t do it than if you had never questioned it in the first place. 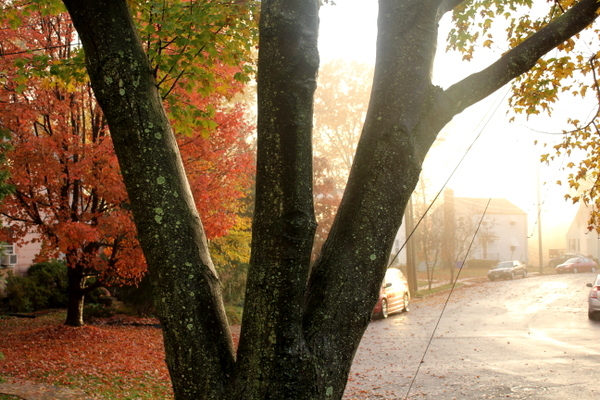 Later there was fog, and then there was sun. There was no rainbow. But there was still beauty. And surprise. If you looked.